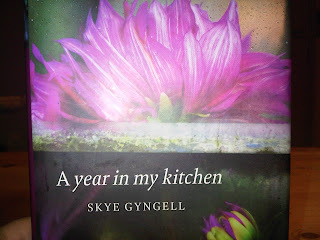 As you may have gathered from previous posts I'm obsessively passionate about food, cooking and baking. From an early age I was taught to cook by my Mother, mostly Portuguese cuisine though it gave me a good basis for then attempting all manner of dishes. Food is the heart of my family, Saturdays were about baking cakes, making delicious puddings and preparing the huge Sunday lunch where inevitably there would be a number of us around the table. I try to carry on that tradition as much as possible with Matilda. I always eat breakfast and lunch with her during the week, then at the weekend the three of us sit down together at the table for breakfast, lunch and dinner. She loves participating in the meal and happily eats what Mummy and Daddy are having. We're very lucky as she's quite an adventurous little girl, her favourite thing at the moment is hummus, parma ham and avocado. If she could, she'd have it at every meal. 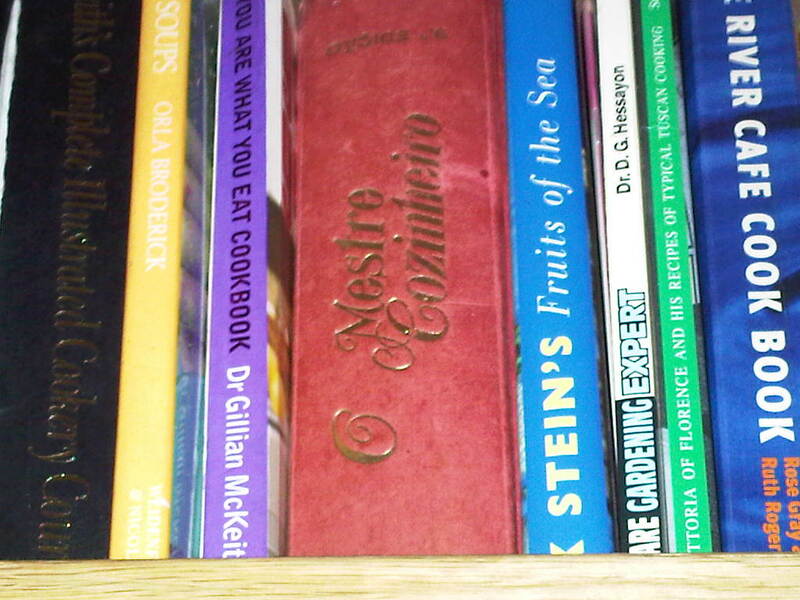 The red book in the middle of the photo above, was my very first Cookery book, given to me by my wonderful late Aunt Tuda, it is the Portuguese equivalent of a Mrs Beeton or a Delia Smith book. I've had since I was about 10 years old and, it is still used on a regular basis for those classic Portuguese dishes I sometimes crave, when I need some comfort food. Apparently according to my husband, I do have a natural ability in the kitchen. I find cooking therapeutic and a way to drive away the stresses of daily life. Whenever I come across a good deli, a food market or kitchen shop I cannot resist the temptation of having a browse, I always like to pick up unusual ingredients wherever I go. I'm pretty sure my cupboards give the Spice Shop in Notting Hill a run for it's money. I must admit it is one of my favourite shops in London. You can get the most incredible range of spices there, I normally spend hours gazing up at the shelves and loading up my basket. If you've not been there you simply must. If you want a little taster of the Spice markets in Kerala then go there, the same divine smells pervades the air as you walk up to the shop. 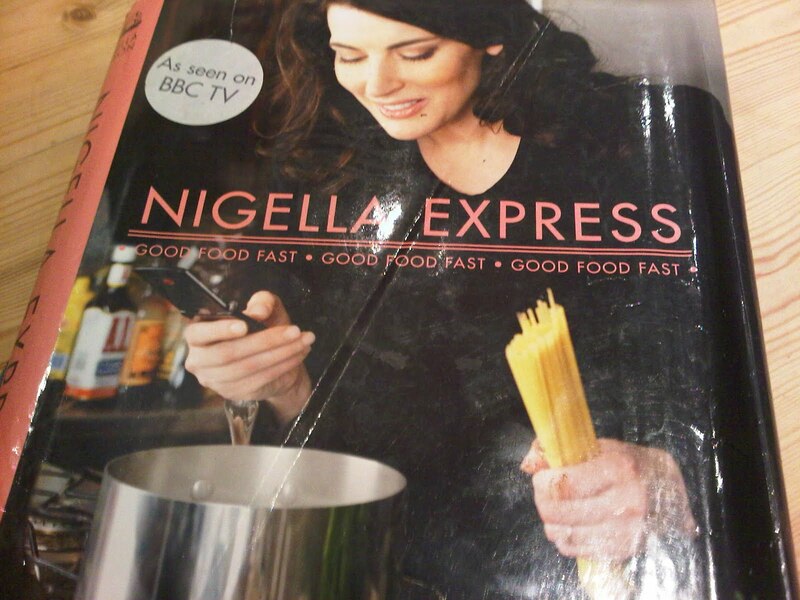 Whilst you're in Notting Hill pop into the gorgeous Books for Cooks. They have the best collection of cookery books, you can find everything you could wish for in there and more, don't think I've ever left empty handed! 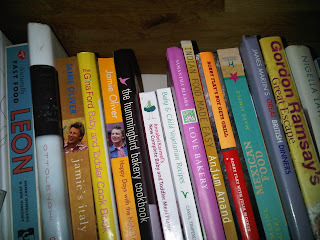 I have shelves creaking under the weight of all my cookery books, but my favourites are the ones below that I go back to time and time again and use on a daily basis. 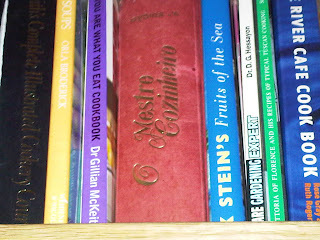 I read cookery books like novels. 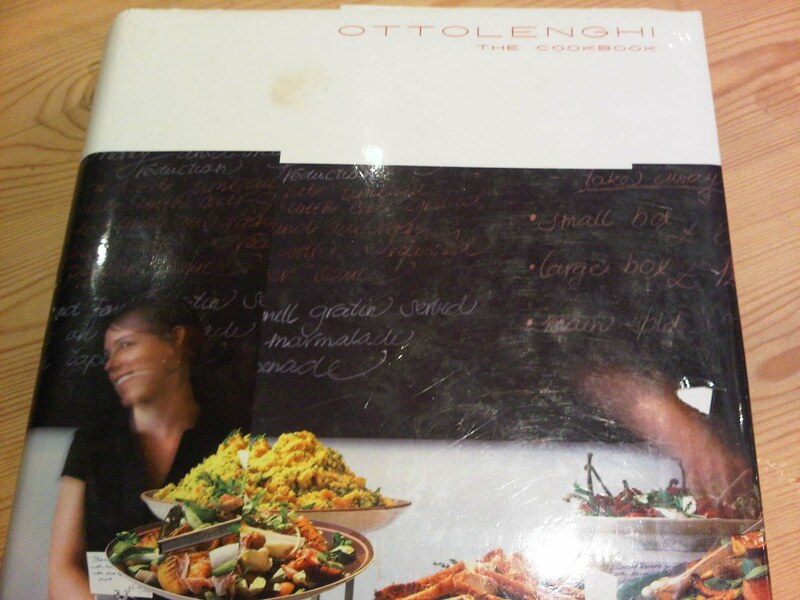 There is nothing more pleasurable for me, than curling up in bed under my duvet with a good cookbook to devour, before drifting off to sleep with the sweet odour of spice markets. Sweet dreams everyone! And it's going to be part of another blog - my fav baking books! I love it! I was given it by a friend of yours - Suzanna Day Lunn last Christmas!Its been well used. Thank you, love your blog too!